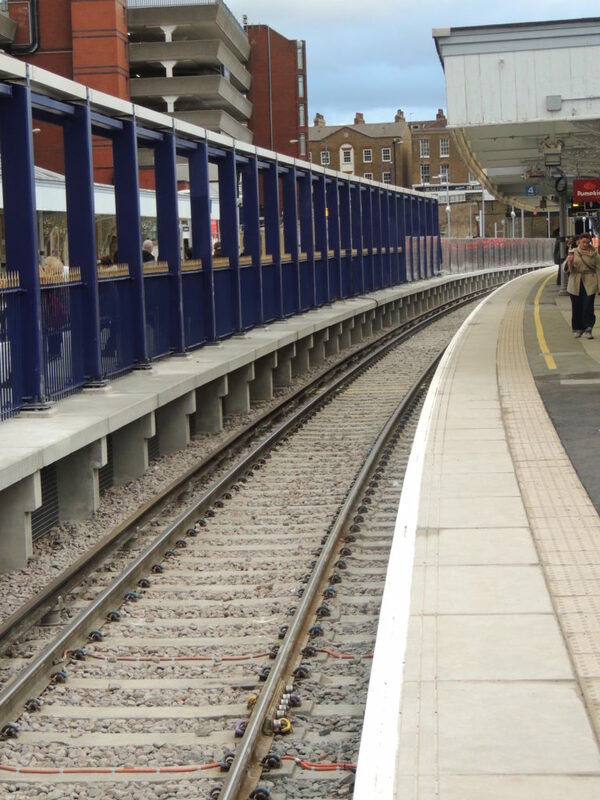 The improvements to Gravesend Railway station, which include a new platform and lengthened existing platforms, are aimed at providing greater capacity for passengers, travelling to and from London. 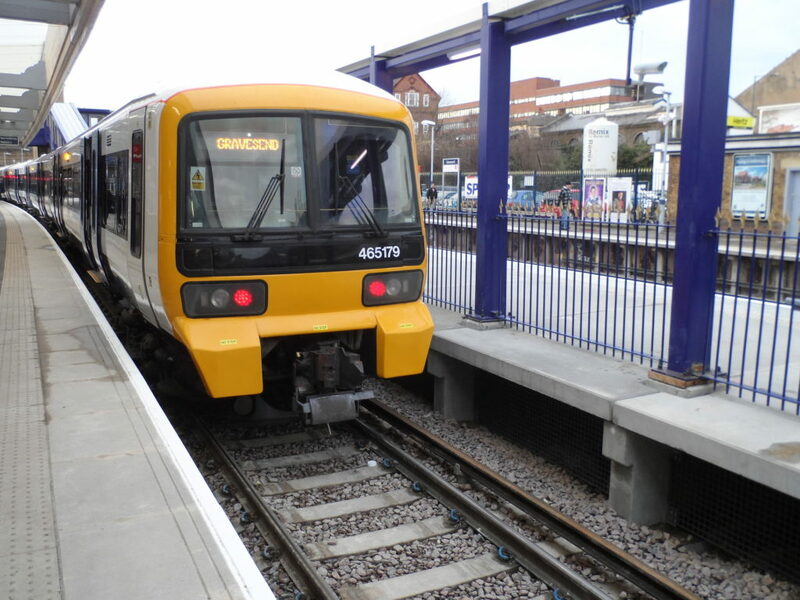 The station closed for 15 days to facilitate the work by main contractor, The Spencer Group. Due to the on-site program requirements, precast was seen to be the ideal solution for the construction of the new platform. 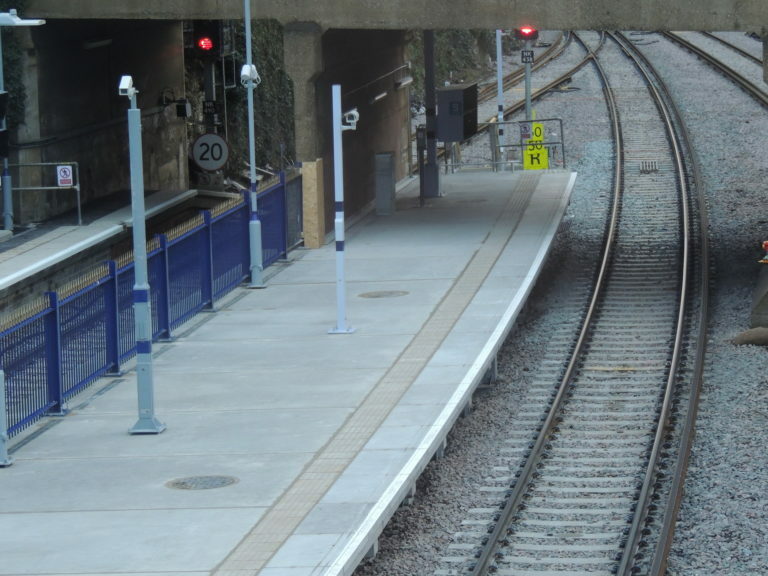 Banagher Precast Concrete in conjunction with Charcon completed the manufacture and supply of over 500 precast elements for the upgrade of Gravesend station completed over the Christmas and New Year period in 2013. The platforms slabs were produced with a high quality non-slip finish. These precast slabs also incorporated drainage channels, service openings and fixture and fittings locations. 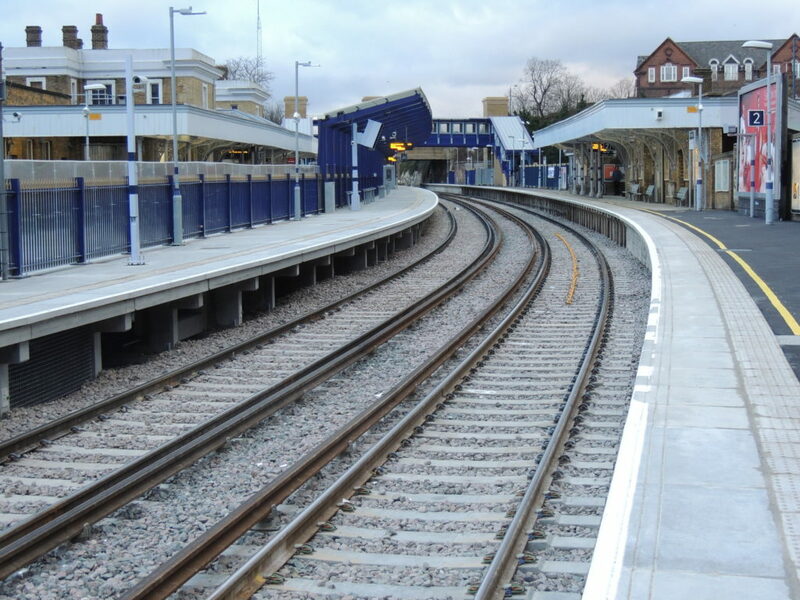 Due to the unique curvature of the platform, each unit was specially shaped for this to be achieved. 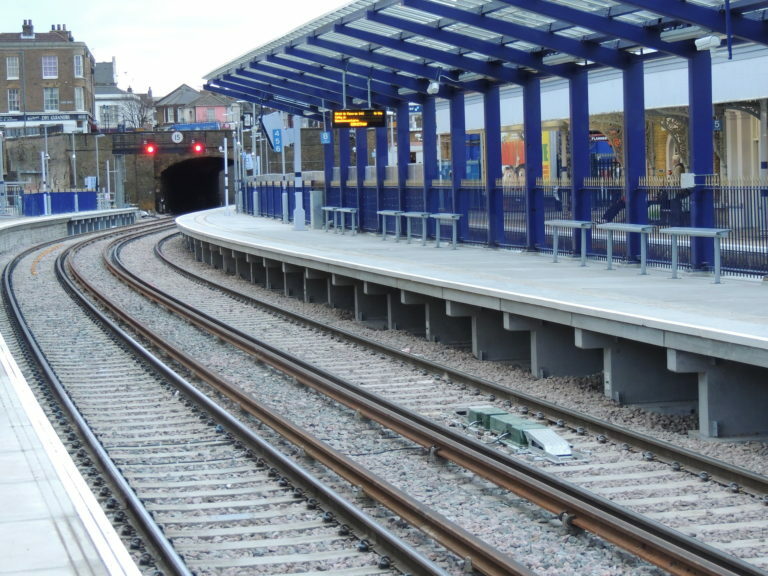 The slabs were supported on ‘inverted T-walls’ that allowed services to run unobstructed beneath the platform slab while also supporting a glazed platform canopy. 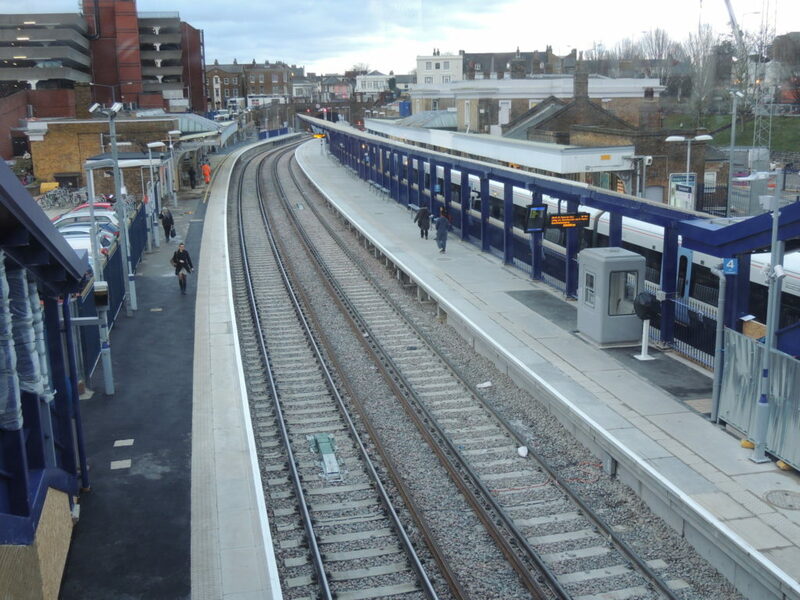 As well as the platform slabs and supporting walls, we also supplied bracing walls, retaining walls and coping units. We worked closely with The Spencer Group on the detailing of the precast concrete elements to improve the buildability of the platform. This was an important part of the contract due to the critical installation timescale and uniqueness of each unit. 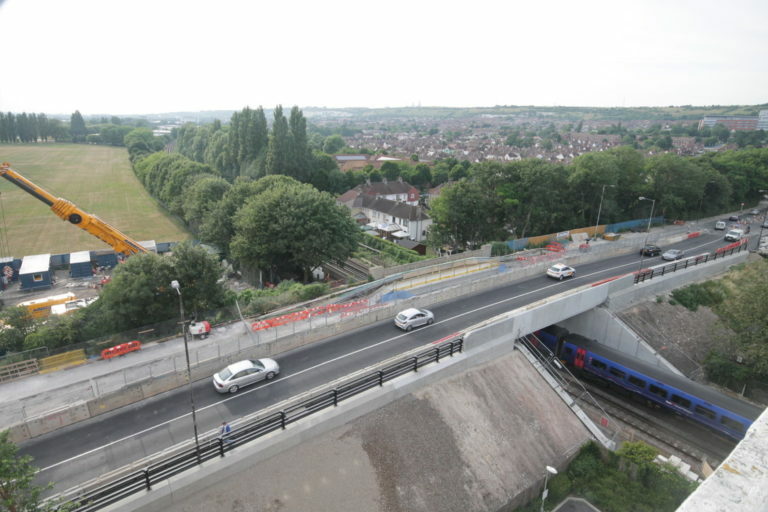 Close coordination between all the parties involved was vital to the success of the project.